Using AutoCAD 2000 designed and drafted complete plan sets for new custom single family homes in the 1700 to 3500 sq. ft. livable range. Involved in every stage of the construction process. Worked in the Planning Department, utilizing ArcView GIS 3.1 and AutoCAD Map 2.0 to create Rezoning drawings, Zoning Adjustment drawings, Street Class and Land Use drawings. Projects included: Luxury Home Design, Apartment complexes, School Renovations, Airport buildings, and Tenant improvements. Using AutoCAD 14 drafted floor, foundation, electrical and site plans; roof and floor framing plans, sections, and exterior and interior elevations. Using AutoCAD 13 designed and drafted all Cable Assembly drawings for the new 8-inch wafer planarization tool under development. 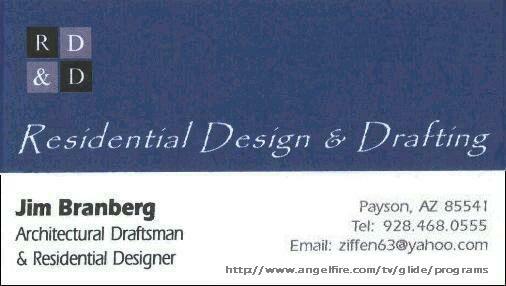 Also used Eplan CAD software, widely used in Germany, for creation of all schematic drawings. Worked on the EuroDisney Additional Capacity Program, Animal Kingdom theme park, and many domestic ride projects. Used AutoLISP for Menu and tablet modification. Icon menus, and new streamlined custom commands for the editing and plotting of AutoCAD drawing files. Worked on the Carver-Greenfield Energy Recovery Project. Drafted and helped design all electrical drawings for the construction of the Co-Generating facility at the Los Angeles Sanitation District facility in Harbor City, California. Worked on the Metro Rail (L.A. subway) Project determining the routing of all embedded conduit runs in the Civic Center Station and northern tunnels to Union Station. Responsible for the creation and drafting of construction lift drawings compiling conduit runs from the Lighting, Communication, and Power drawings. Using AutoCAD 9 prepared drawings for the Bank of America data network linking all 800+ California B of A branches. Took part in the field survey team site inspections throughout California. Designed, drafted and checked electrical drawings for the fabrication and assembly of industrial control panels, including some circuit design, all schematics, wiring diagrams, panel layout, and installation plans. Other duties included residential and industrial power distribution 120V to 440V. Used AutoCAD 2.62 for all drafting. Worked in the Plant Engineering Department. Designed, drafted and checked electrical drawings necessary for the installation of new machine tools, and instrumentation used in the fabrication of aircraft components and parts. Helped in the design of systems for computer communications used throughout the plant. Power distribution projects included the installation of two new 4160V substations, as well as routine work of determining the power requirements and conduit routing for machine tool installations. Learned and used AutoCAD 2.0 toward end of contract. Job duties included the design and drafting of all drawings for the expansion of the cryogenic pump testing facility. Architectural drawings for a new computer data acquisition room, and all conduit routing, wiring and interconnection diagrams, junction boxes, control panels, part lists, and logic diagrams. Also included were technical illustrations, and technical assistance to the electrical contractor for quality assurance. Facilities work included: Design, layout, and drafting for power, lighting (tank farm and parking lot), and communication systems. Including above ground and underground conduit routing, conduit sizing and fill, and wire sizing. Point-to-point wire and conduit tracing of existing process area control systems for system upgrading, including new control panels, conduit installation, wiring diagrams and schematics. Responsibilities were: Design, drafting, and checking of all control panel layouts, enclosure fabrication, schematics and wiring diagrams, part lists, and logic diagrams. Installation drawings for panel mounting on filter and pump system skids, including conduit routing, interconnection diagrams, and instrumentation pneumatic tubing diagrams.